Happy employees are far more productive than bitter, disgruntled employees. As a boss, you need to constantly be aware of employee morale, because if it starts to drop, your company could be in serious trouble. Complain about how they never get time off? Look like they can’t wait to leave at the end of the day? Seem distant and guarded whenever you talk to them? If so, you may have a serious morale problem. 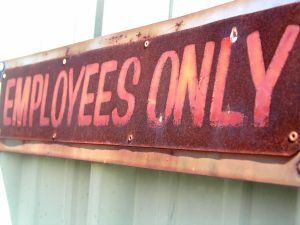 What can you do to keep employee morale up? Start by following these simple tips. Get to know more about your employees—Show your employees that you really care about them by taking time to get to know more about them. Find out about their interests, their goals, and their life away from work. Any time you see them, take time to ask about these things to show them that you remember and that you care about how they’re doing. This builds trust, and it makes you more than just a boss. Reward employees who do a good job—Whenever someone does an exceptionally good job, make a point to compliment them on their work and to reward them for it. Employees like to know that you appreciate all the hard work they’re doing for you and your company. Just taking the time to say thanks can go a long way to building good morale in the workplace. Don’t be a tyrant with time-off requests—I’ll never forget the time I was working at a department store while in college and I requested a day off because my mom was going into surgery. I put the request in in plenty of time, but they still gave me a hard time about it. Keep in mind, I was someone who almost never called in or asked for time off. This complete lack of respect instantly made me bitter toward the company, and it just showed they didn’t care about me one bit. So, if your employees work hard for you, don’t be a jerk when it comes to approving their time-off requests. Be consistent with your decisions—You can’t play favorites and expect your employees to respect you. If you let one employee slide on the dress code and crack down on another for the same offense, you’ll alienate certain employees and appear to be unfair. That’s why you should always strive for consistency with your decision making. Things won’t always be 100% fair all the time, but if you try to be consistent, your employees will respect you for it. Let them have a voice—One thing that frustrates a lot of employees is they feel like no one listens to them or values their opinion. Your employees are the ones who are on the front lines every day, so they probably have some pretty good insight and ideas. Take time to listen to what they have to say. Even if you don’t agree with their opinions, giving them a forum for voicing them helps them feel respected and valuable to the company. What’s the morale like at your workplace? Why is it like that? Share your experiences by leaving a comment. 10 Female-Inspired Products: Cute or Gross? Love this list. I pretty much loathed my old job. Now I work for Auto Shipping Network (http://www.autoshippingnetwork.com) and I couldn't be happier with my job. “Happy employees are far more productive than bitter, disgruntled employees” This is so true! We ship cars all over the world, so it entails talking to a lot of people. If my boss didn't keep me happy I woulnd't be so productive.